Here are three photos from the last couple weeks that didn’t fit into any particular story or theme. Each is from a different prairie, and each was the result of a quick opportunistic stop in the midst of doing something else. The pitcher sage photo (immediately below) came after I walked past a patch of the flowers and then backed up to capture the image that stuck in my head when I first walked past. I noticed the soldier beetle (second photo) as I was walking back to take more photos of the praying mantis eating the sphinx moth. Finally, I spotted the bee sitting on a dew-covered gayfeather flower (third photo) as I got out of my truck to work on a fence project at our farm. 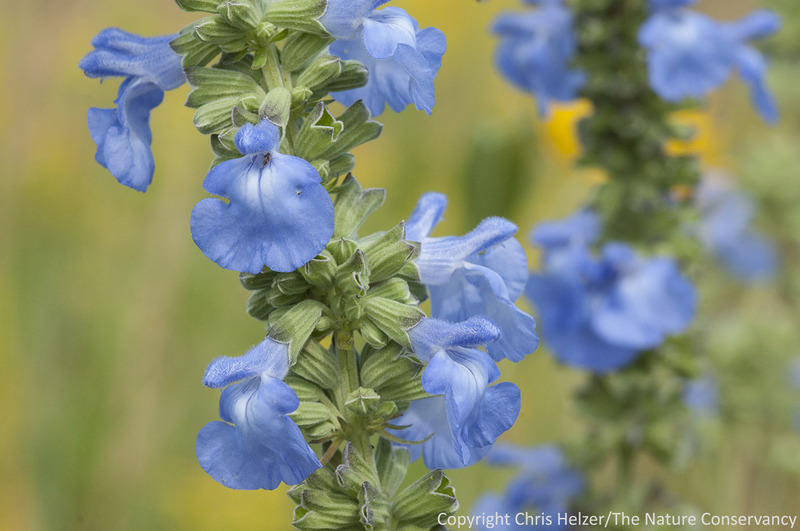 Pitcher sage (Salvia azurea) in our plant diversity research plots. Platte River Prairies, Nebraska. 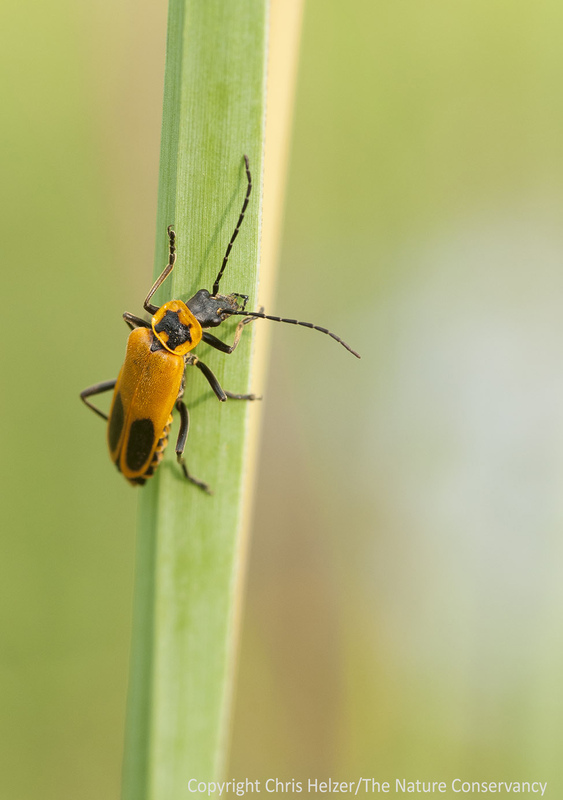 A soldier beetle on a grass leaf. Lincoln Creek Prairie – Aurora, Nebraska. 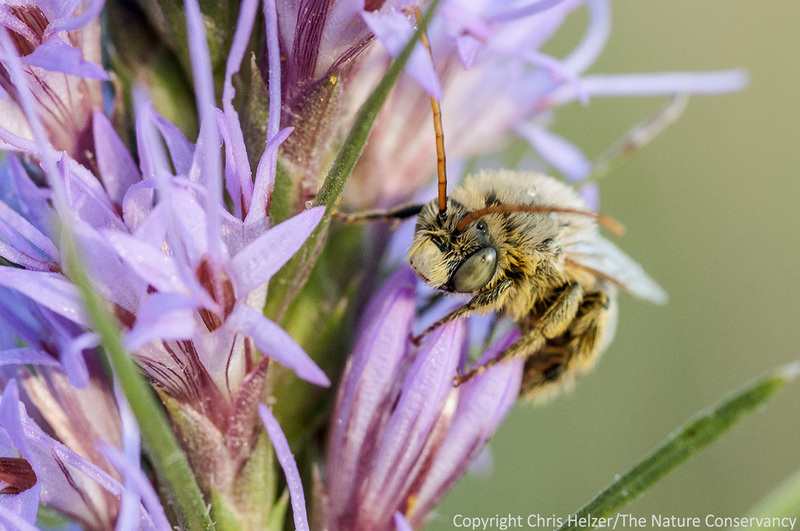 A male long-horned bee (Melissodes sp) on dotted gayfeather (Liatris punctata). Helzer family prairie – south of Aurora, Nebraska.